Oh yes, it was only a matter of time before a topic like Voter Fraud would be exposed in the United Kingdom, through the recent shift and rise in Labour votes for Jeremy Corbyn in the last general election. Much like how Donald Trump and the Republicans seek out to expose the effervescent voter fraud by the Democrats in the United States, with dead people voting and illegal immigrants voting too, yet they still lost the election there, as well. However, with the recent news coming out today, which is now being probed by Watchdog, which reveals that over 1,000 University students in the U.K. voted twice and with many still believing that this sum of people is actually a lot greater than this initial figure first suggests. And, how did students do this? Well, Watchdog revealed that University students, some of the least applicable minds on politics; just how were they even allowed to vote, but to be able to vote twice, is nothing short of scandalous. Yes, somehow they were able to vote twice since they could register under their University address and also their Home address. 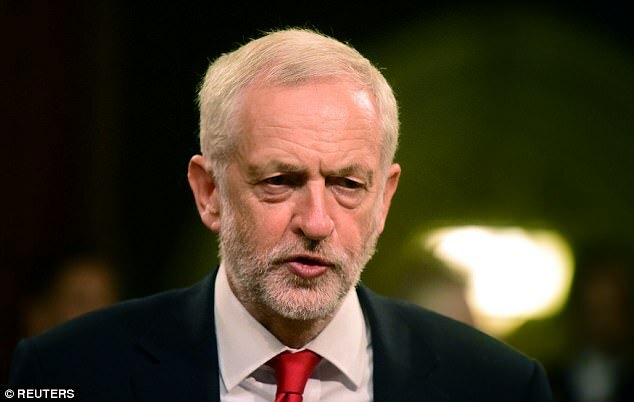 Many Tory MP’s voiced their concern at this being able to take place and it would explain the great shift in numbers for Labour votes in the General Election of June 8th, giving Jeremy Corbyn added seats in Parliament, as a result. These results have become something of a ridiculous Marxist thorn in the side of the United Kingdom’s pride and sovereignty lately, that and with socialist Mayor Sadiq Khan at the helm in London (somehow? ), calling for Donald Trump not to get a red carpet state visit, this is how we see that socialism is making a push for power, but failing incredibly, taking with them whatever moronic people they can gather, down a road of domestic destruction, although, you won’t hear that on the news. Illegal polling on polling day by University students has now been exposed and it was found to be prevalent by many students bragging about their illegality over social media, in doing just that. Voting twice! Yes, with no checks done to spot illegal voting, could it be a case of socialist and marxist University teachers spreading their “redness” onto our very own children, with yet more inside liberal indoctrination inside the United Kingdom’s higher education schooling system, perhaps? Seemingly so, or do all University students already have well formed minds to make their own decisions in political matters? The latter is by no means a reality, but somehow they were able to vote twice and then also brag about doing so. They think they know politics, but really they’re the first to be brainwashed by fake news and socialist conditioning. Could it have also been the tempting lies by Jeremy Corbyn who said that he’d make all tuition fees completely free and even eliminate all their student debts, as well? Hmmm, just maybe and also socialists do love their false promises, don’t they? 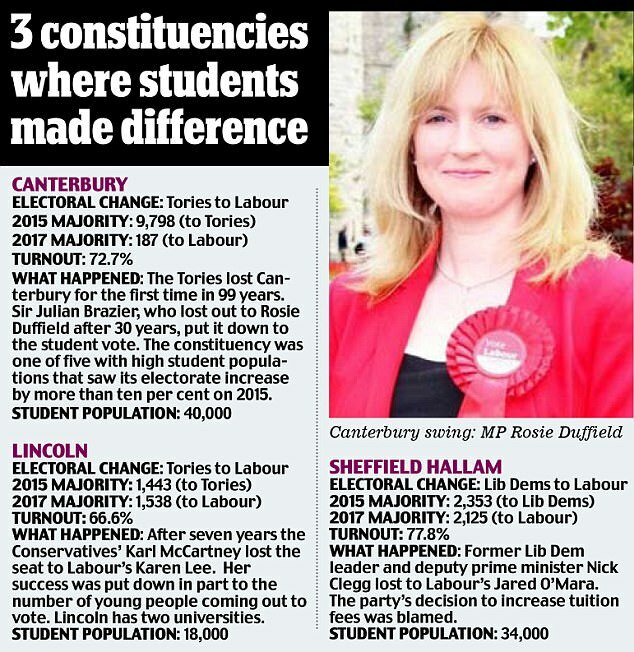 So, your average student may have voted twice in the recent UK election just for that, alone. The Electoral Commission received over a thousand emails of complaints, plus a further 38 complaints by MP’s of voter fraud on June 8th, 2017. Somehow this is the reason why Corbyn was able to steal more seats and you see with Socialist politicians, they will lie, have their agenda also being perpetrated in the University school system by left-leaning professors, but also they will import hoards of refugees, asylum seekers and unwanted immigrants by the bucket load, place them in the country in exchange for their votes in kind. This was surely the motivation behind the term “Multiculturalism” on part of the Labour party in the mid 2000’s, yet they still lost in the General Election in 2017, even after serious illegal voter cheating. Surely, Labour must have been doing something wrong for all these years? You’d be hard pressed to find a Conservative voting twice, ever! Since, it’s against the law. Such comments will naturally also peak interest into the Universities of where these students attended and it might even suggest organised groups or even Marxist professors perhaps being behind this movement of voting twice? Who knows? Hopefully the investigations will find out this very information. Just imagine the inside collusion into employing Left Wing tutors spreading their agenda onto the youth? You don’t say? The fine for voting twice is currently set at £5,000, but with all that was at stake, perhaps the students who boasted with photos on social media in voting twice, will now get phone calls, as ironically this Millennial generation forgot that voter fraud is illegal and social media is very public. The irony, may suggest their lack of capability in voting, as well. That shows you just why, they shouldn’t even be allowed to vote in the first place, maybe, just maybe? Will these students be held accountable? We hope so. Anyways, this news has rocked the United Kingdom, but comes as no surprise as socialism is desperately clinging onto anything it can, and let’s hope that a thorough investigation, plus prevention and perhaps even repealing said Labour seats won, will now be the result of this humongous scandal.